Welcome to the Springs Ranch Elementary School library. We are glad you are visiting us online. Parents, please feel free to stop in to the library to set up a parent account. Our school uses the Reading Counts program. This computerized quiz program is available to all students in 2nd-5th grades. Students who wish to participate can log-in to a personal account while here at school to take a comprehension quiz on a book. If the student passes the quiz, he or she earns points. These points can then be traded in for prizes at a monthly reading counts store. Huge thanks to our wonderful PTO for providing us with funding for the prizes! Students in Kindergarten and First Grade check out one book at a time. Students in 2nd Grade - 5th Grade check out two books at a time. Our Master Reader Status allows students who have earned 100 or more Scholastic Reading Counts points to check out more books. When a student earns a master reader status, he or she also gets a READ poster made to hang in our school. These posters go home at the end of the year. Master Reader 100 SRC points Up to 3 books at a time. Silver Master Reader 250 SRC points Up to 4 books at a time. Gold Master Reader 500 SRC points Up to 5 books at a time. Platinum Master Reader 1,000 SRC points Up to 6 books at a time. Titanium Master Reader 1,500 SRC points Up to 7 books at a time. This novel tells Rose Howard's story as a child with Asperger's syndrome, and reading it will make your heart soar! Rose loves homonyms (even her name is a homonym). She and her dog Rain are practically inseparable, until a storm blows through town and Rain goes missing. 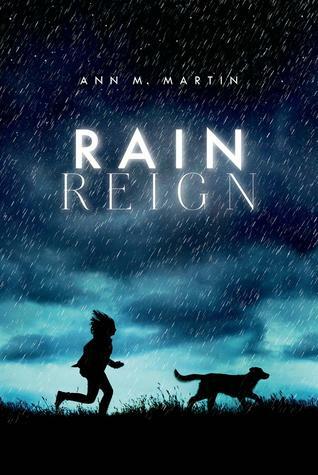 Rain Reign is a wonderful story that our intermediate students enjoy. Our students love this book about puppies and fitting in with families. The adorable illustrations and French puppy names have made it an overnight sensation in our school library. Gaston is an endearing and memorable character. The book is also nominated (by kids) for our state award, The Colorado Children's Book Award. Moses LoBeau, a quick thinking, loyal 11 year-old growing up in Tupelo Landing, NC has a mystery on her hands. As a baby, she was rescued during a hurricane by The Colonel, who along with Miss Lana, took her in. Together they operate a popular cafe in their small town. When a stingy townsperson turns up dead and a big-city lawman invades the town, Mo and her best friend Dale rely on their wits and strong friendship to see each other through, working to solve the mystery and keep their town safe. Three Times Lucky is an exciting mystery that kids will enjoy. Mo and Dale are written almost like adults and will surely engage young readers. The town of Tupelo Landing quickly becomes an endearing character itself and the cast of townspeople add diverse flavor. Students at Springs Ranch already agree - they love this book! This book will appeal to students of all ages. We have been reading it in our library as it is nominated for the Colorado Children's Book Award 2015, which our students will get to vote on in the spring. The bright pictures are engaging, and our students identify with the Goat and Unicorn characters. I love the grass is greener message which the kids have easily picked up on. Students and Librarian agree, we highly recommend this wonderful picture book! Our 4th and 5th grade students love this new book series by Glee actor Chris Colfer! The story follows twins Connor and Alex Bailey after they fall into a book and find themselves in the Land of Stories, a place where our world's beloved fairy tales are true and where the characters we know so well continue to live. Alex and Connor must find a way to get back home. They encounter many fantastic adventures in their quest to obtain the items needed for the Wishing Spell, a spell that may be their only hope to get home.